The biggest challenge is to pick the most authentic stories. For example, Guru Nanak Sahib’s life history is in several janamsakhis but not all of them are authentic. One way to stay authentic is to compile the script from books of only the celebrated Sikh historians like Bhai Veer Singh, Principal Satbir Singh and Trilochan Singh. 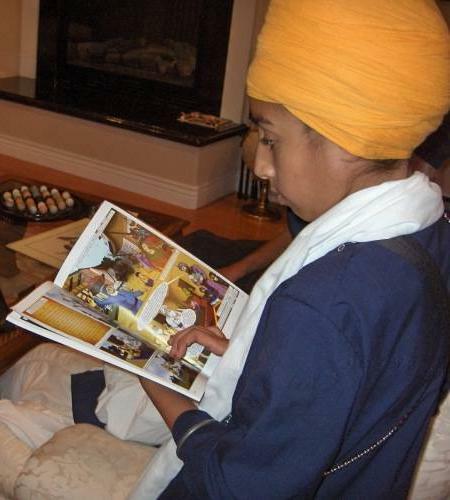 Thank you, Daljeet Singh, for taking the time to answer these questions and provide more insight into your comics, which are available at SikhComics.com and at Amazon.